A small game for a club I participate in. 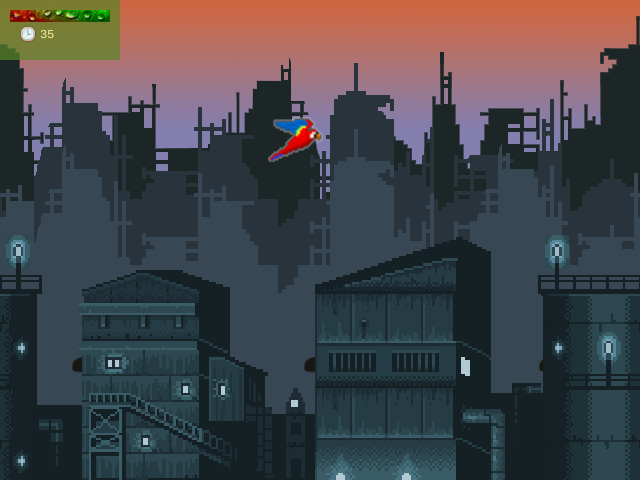 Parrotgame (we’re not great with names) is a sidescroller where you are a messenger parrot that must deliver a critical message in wartime, literally dodging bullets along the way. It uses libGDX and I wrote most of the code. Check it out on itch.io or grab the source on GitHub.